These careers help preserve our state's lakes, prairies, forests, and other natural resources. Minnesota has rich natural resources, and as a state, we value protecting and maintaining our environment. Work in this cluster monitors, protects, and maintains natural resources. People in these positions make sure that waters stay clean, forests remain whole and standing, and that people understand the importance of smart development and growth decisions. They monitor the ecosystem to detect problems, develop solutions, and protect the natural resources. Careers in this cluster vary in setting and focus. Some careers require people to spend a lot of time outdoors. Others are in a laboratory or office setting. People may work directly with land, water, or habitats. Or they may work indirectly with the environment by developing conservation plans or analyzing data. 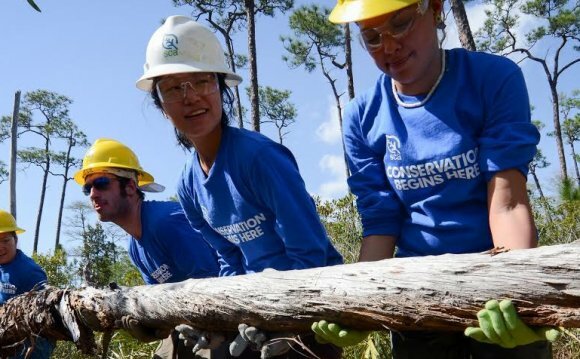 Because natural resources are public goods and belong to everyone, many conservation positions are with public (state) agencies or consulting companies that work for the public sector. Some chemists work to reduce the toxic impact of products or processes, or through their direct and applied research on environmental issues. Conservation scientists manage, develop, and help protect soil and rangelands. Some engineering technicians work on projects that improve energy efficiency or conserve natural resources. Environmental planners design and oversee environmental projects, such as restoring native plants and ecosystems. Environmental scientists study problems in the natural world that affect the health of living things. Forest and conservation technicians help develop and protect forests. Foresters manage, use, and help protect forests and other natural resources. Geospatial information scientists and technologists can benefit the environment in many ways. They may study water flow, ensure mining and construction activities have minimal environmental impact, or develop plans for wind or solar power generation site layouts. Natural science managers direct the work of scientists engaged in studying and reporting on the health of the environment. Park naturalists create programs to teach park visitors about natural areas. Surveyors can benefit the environment in many ways. They may work on projects that map groundwater flow, plan for low-impact mining or construction sites, or plan for wind or solar power generation site layouts. Sustainable landscape architects help the environment through their designs, which may preserve a site or restore it to its natural state by adding or protecting native plants or habitats. Some urban and regional planners ensure that land is used efficiently and with as little environmental impact as possible.